Spring is in the air and there are still a few beach condo rentals available in Lincoln City, Oregon if you’re hoping to make the most of this Earth Day and Easter Weekend! Properties such as the one-bedroom ‘Nantucket’, two-bedroom RSS Royal Pacific, and three-bedroom ‘Seamist’ are sure to be booked before the weekend is up, though. With so much going on in and around Lincoln City, and a beautiful 7½ mile stretch of coastline to explore, what are you waiting for? 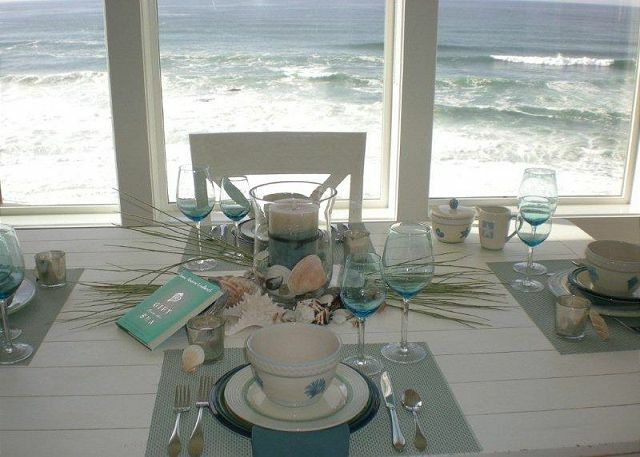 Book your beach house rentals today and get out of town this weekend! Here’s a small taste of the fun you’ll find in Lincoln City for Easter and Earth Day. With some of the best beach vacation rentals Oregon has to offer, the city’s 7½ miles of beautiful beaches are always waiting for you. Starting on Friday, April 19th, Lincoln City’s neighborhoods will be bustling with the Great Oregon Coast Garage Sale. There will be roughly 100 different garage sales throughout the area on Friday, Saturday, and Sunday – a picker’s paradise! This weekend is also a great time to explore the beach in hopes of finding your own colorful glass float, as there will be a special drop of 20 glass floats on Saturday, April 20th. This special drop is part of the 20 Years of Finders Keepers celebration and the floats represent the new ‘Explore Lincoln City’ branding. In addition, there will be 50 glass globes hidden along Lincoln City’s public beaches between April 20th and 22nd as part of a Special Glass Drop in Celebration of Earth Day. If you’re not lucky enough to find your own float on the beach, though, you can pick up an exclusive float by artist Ro Purser at the opening of the ‘American Made Glass Fishing Float Exhibit’ at North Lincoln County Historical Museum from 11am-3pm on the 20th. If cooking is more your thing, book your place now for Saturday’s Hands-on Balkans Cooking Class from 11am-2pm at Lincoln City’s Culinary Center. Explore the food traditions of Bosnia, Croatia, and Serbia with a delicious meal at the end for only $75 per person. Dog lovers will also be well-served this Saturday, April 20th with DOGgone Crazy Day at the Lincoln City Cultural Center. From 11am-5pm you’ll find everything from games and agility obstacles to trainers and K9 units to booths and pets up for adoptions from the Lincoln County Animal Shelter. If you’re planning on taking the family out for some Easter fun, start with Lincoln City Kiwanis Club’s Annual Easter Egg Hunt at the Regatta Grounds Park starting at noon on Saturday, April 20th. And if you don’t feel like cooking your own Easter meal, Marci’s Bar & Bistro will be serving Easter Brunch with Cosmic Strings as musical accompaniment from noon to 3pm. There’s Easter fun just for grownups as well, including the EGGcentric Adult Science Night presented by the Driftwood Library at Black Squid Beer House. This 21+ event starts at 4pm on Easter Sunday and will teach you about chemical reactions and osmosis – all using eggs! And if you’re still in town on Easter Monday, make sure to stop by the Tide Pool Clinic at 9:30am at the Northwest 15th Street Beach Access area. A local expert will be on hand to teach beachgoers about all the fascinating creatures living in these pools, free of charge. Of course, you never need any special reason to visit Lincoln City. 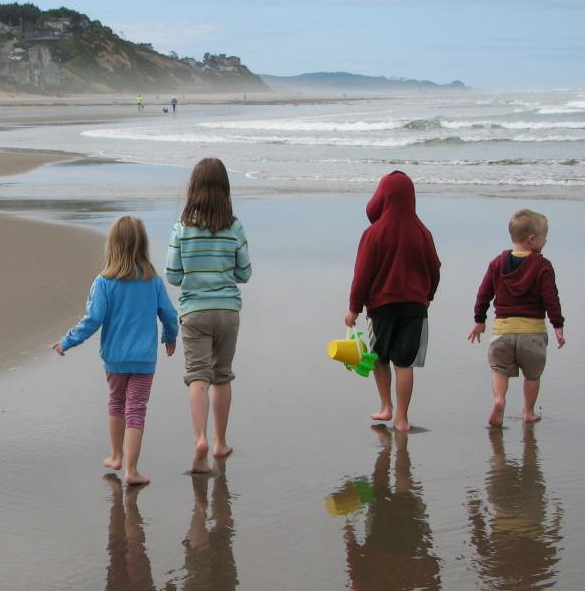 With some of the best beach vacation rentals Oregon has to offer, the city’s 7½ miles of beautiful beaches are always waiting for you. This stretch of coastline is especially brilliant in the springtime, though, so why not make this Earth Day and Easter Weekend your time to get away from it all! Visit Lincoln City, Oregon for the Festival of Illusions! It’s time to book your beach house rentals and get ready for Lincoln City’s annual Festival of Illusions! The city comes alive with magic and entertainment every year around spring break ever since the first festival took place in 2012. This year is the biggest, yet with 10 action-packed days of magic, comedy, juggling, escape artists, mind-reading, bubbles, and much more taking between March 24 and April 4. There are also plenty of great options for places to stay, including some of the best beach vacation rentals Oregon has to offer, but accommodations are filling up fast considering the increasing popularity of this family-friendly festival. Keep reading to learn more and book your accommodations today! All performances for the 2019 Festival of Illusions will take place at the Lincoln City Cultural Center starting on Sunday, March 24 and ending on Thursday, April 4. Performances take place during the evening with doors opening at 6:30 p.m. and shows beginning at 7:00 p.m. Tickets are free for children age 4 and under, $8 for youth ages 5-18, $14 for students and seniors, and $16 for adults. Each performance is staged in two sets with an intermission and there will be sweets, nuts, sodas, beer and wine for sale. You can purchase your tickets directly through the Lincoln City Cultural Center’s website or over the phone. There will also be an ‘Abra Cadabra’ Open Art Space in the Cultural Center’s Conference Room with drop-in workshops March 25 – 29 from 1:00 p.m. to 4:00 p.m. featuring paints, markers, paper, fabrics and more. Admission to the workshops is $5 and children age 8 and under must be accompanied by an adult. March 24: Rudi Galindo – The opening night features an improvisational magic show in the Teatro Pachuco style, which combines elements of European and Mexican-American theatrical and circus traditions, starring Rudi Galindo and special guest. March 25: Magician Jeff Evans – This critically acclaimed magician started performing at the age of 12 and has made it his full-time job since 1998. Jeff Evans is known for clean comedy and fantastic magic tricks including escapes from chains, locks, and ropes. March 26 & 27: The Amazing Bubble Man – You’ll have two opportunities to see Louis Pearl, aka the Amazing Bubble Man, perform his trademark combination of magic, comedy … and the art, science, and fun of bubbles! Eight years of sold out audiences at the International Edinburgh Fringe Festival couldn’t be wrong. March 28: Mentalist Brian Ledbetter – This mind-blowing mentalist can read people’s minds, move objects around the room, make accurate predictions, and entertain you with his unique brand of magic. Be warned: audience participation is a big part of this act. March 29: Iman Lizarazu – This magically poetic performance dubbed “Basquette Quese” tells the story of the classic clown Pierrot fighting a battle to fall sleep that includes everything from juggling and miming to dancing and physical comedy. April 2: Stefano Iaboni – This Roman-born actor, comedian, and trained circus performer with years of experience throughout Europe takes audiences on an entertaining adventure that includes comedy, juggling, magic, and much more. April 3: Angel Ocasio – This bilingual show uses both the English and Spanish languages to bring audiences on a journey of laughs that is big on physical comedy as well as juggling, magic, and music. April 4: Henrik Bothe – This Danish-born entertainer specializes in physical comedy, juggling, comedic magic, and escape acts that include getting out of a straight jacket while riding a unicycle. He has performed in four languages in 22 countries and 50 states and been featured on television programs across the globe including the Tonight Show. WWII Sub Lookout Could be Your Next Beach Rental! Did you know there are beach house rentals on the Oregon Coast that used to act as World War II submarine lookouts? That’s right, you can experience a bit of history and relax in style at vacation homes such as The Submarine in Lincoln City, Oregon. This is just the ticket to a perfect weekend away whether you’re a history buff or just want to experience the beauty of the Pacific Ocean right outside the door of a property known for its added style and charm. This historic property is unlike any other beach condo rentals on the Oregon Coast, but this deal won’t last as long as it has! The Submarine- Sleeps 2-4 guests (2 queen rooms). Sweeping Oceanfront views from North- South. 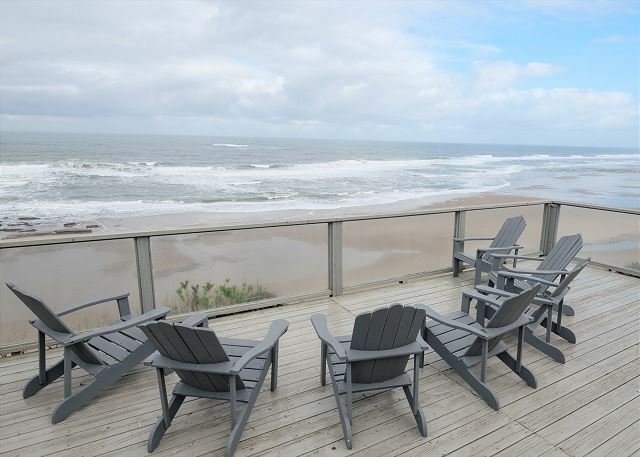 Beach access and glass enclosed hot tub perched overlooking Surf & Sand on a quiet beach. Used as Lookout during WWII .Wifi…. The Submarine is a two-bedroom property with its own private entrance, deck, and hot tub that are separate from those of the Anchor condo, which is the master suite that sits above the garage. During WWII, the entire house was used as a submarine lookout due to its strategic views of the oceanfront. It is also possible to book the two attached properties together as the Anchor and Sub House. With two queen bedrooms, a comfortable living room, sun room leading to a private deck, and recently remodeled kitchen, the Submarine alone offers plenty of room for four people to live in luxury. You can step outside to the private, glass-walled hot tub or enjoy the sunset and views of surfers at Nelscott wave from the comfort of a deck chair. When you’re ready to hit the sand and surf yourself, it’s only 90 stairs down from the deck (with resting benches along the way) to an almost private beach with tidepools to explore and plenty of picnic tables and BBQs. All the Amenities of Home and More! The Submarine is fully furnished and ready to go with linens, towels, a starter kit of paper products, cookware, utensils, ironing board, washer/dryer, and a full kitchen that includes a stove, oven, microwave, refrigerator, coffee maker, and toaster. You will also find cable television, Wi-Fi, DVD player, VCR, and gas fireplace to keep everyone entertained and warm indoors. There might not be much time spent indoors, though, considering the view from the deck (complete with deck chairs) and private beach access right outside your door! And if you need to run a few errands or keep the kids occupied, nearby you will find gas stations, mini marts, grocery stores, ATM machines, medical services, a post office and FedEx, playgrounds, community center, fitness center, library, and more. 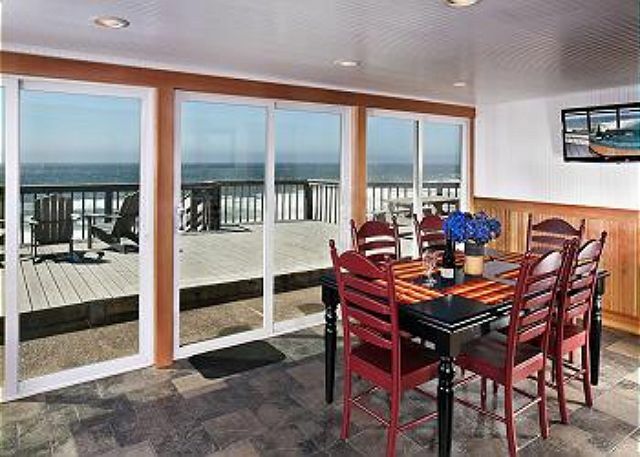 Being close to the ocean is, of course, one of the main reasons people book beach vacation rentals. Oregon is dotted with all sorts of beautiful beaches along its west coast, and Lincoln City is famous for 7 ½ miles of the most stunning coastline in the state. You would not be unhappy if all you did during your stay was go to the beach. You can take a walk and visit a lighthouse, or go beachcombing, biking, boating, kite-flying, tide-pooling, whale-watching, crabbing at Siletz Bay, or deep-sea fishing at Depoe Bay. The town of Lincoln City is full of surprises worth straying from the beach for, though. The Chinook Winds Casino Resort, Lincoln City Outlet Mall, gift shops, craft shops, antique shops, glass blowing studios, art galleries, museums, a golf course, a miniature golf course, a wide variety of restaurants, and other attractions are all nearby. It would be particularly fitting to visit local museums and learn more about the area’s history while you stay in this historic beach vacation rental! It’s Not Too Late for New Year’s Deals on Oregon Beach House Rentals! ocean views from the family room and living room. Private beach access! 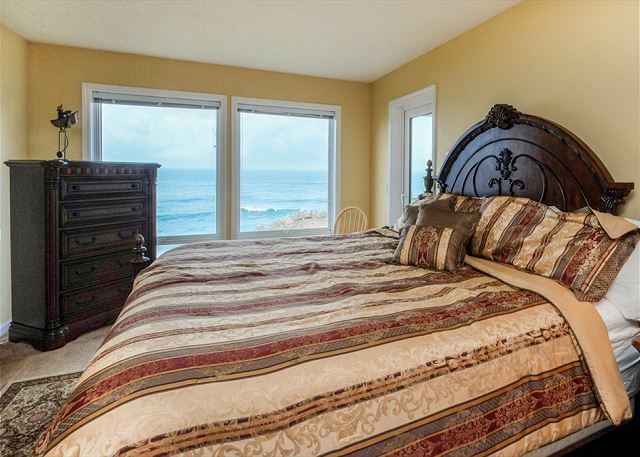 This 4-bedroom, 4.5-bath oceanfront home is one of our finest beach vacation rentals. 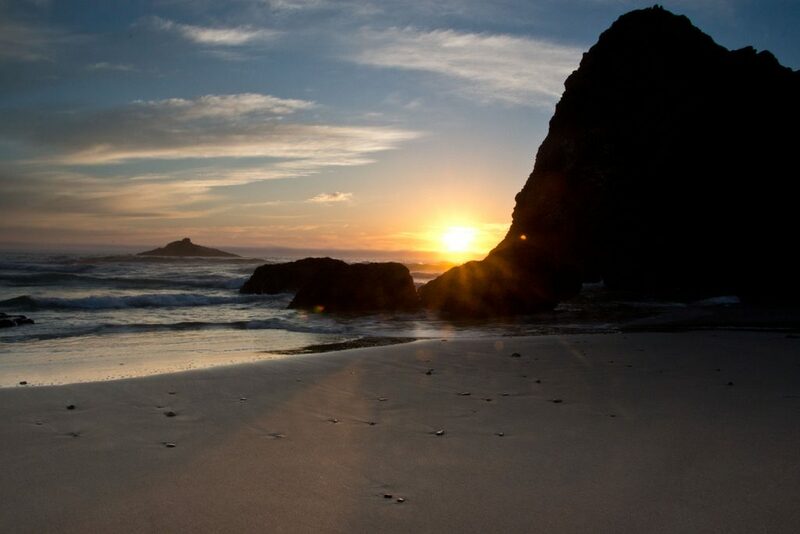 Oregon and its beautiful coastline will be your playground as you enjoy the luxurious amenities, spacious floor pan, breathtaking views, and incredibly easy access to the beach at Roads End State Park. The first floor features a gourmet kitchen, pub table, dining table with seating for 10, entertainment system with multiple televisions and DVD player, gas fireplace, sleeper sofa, game room featuring a pool table and much more, and a half bathroom. The upper floor is where you’ll find four bedrooms with two king beds, one queen bed, three bunks, and four full bathrooms. There is also a beautiful deck, an outdoor hot tub, a laundry room, fresh linens, and parking for up to three cars. This beachfront home is one of A1’s newest listings available for rent. About a mile south of Lincoln City on Gleneden Beach you will find this 2-bedroom, 1-bath shingled cottage with the most stunning panoramic views from every angle of the window-lined great room. Whether it’s sunny or stormy outside, you will be treated to some of the most majestic sights of the Oregon coast from the comfort of plush furniture with a gas fireplace and entertainment system nearby. The rental includes a fully equipped kitchen, dining furniture, laundry room (also featuring ocean views), private courtyard, western-facing deck with wind screen, plenty of seating, two queen bedrooms on the quieter side of the property, luxury bathroom, and fresh sheets and towels. If you’re looking for a beach condo rental that’s perfect for a romantic getaway, a ‘best friends’ trip or even a solo adventure, this restored 1920s cottage just one block from the beach is it. The property is full of charm with a beautiful fireplace, comfy furniture, French doors opening onto the main deck, original wainscoting walls, and picturesque white trim. In addition to the main deck, where you will find a luxurious hot tub with ocean views, there is an observation deck with seating for two that is ideal for watching the sunset or sunbathing (when weather allows). You will also find a cozy bedroom with fresh linens, a laundry room, and a kitchen with all the amenities. And when you’re ready to get outdoors, you will find plenty of bars, cafes, restaurants, shops, and the Chinook Winds Casino Resort all nearby. 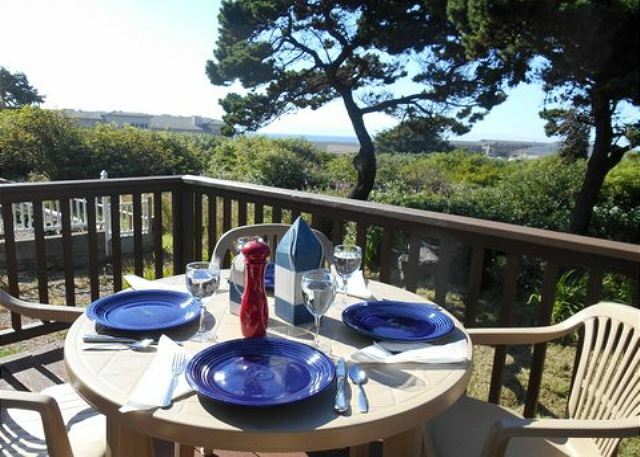 There are many more beach rentals on the Central Oregon Coast to choose from, but you will need to act fast if you want to take advantage of this deal! Contact A1 Beach Rentals today for more information and to book your stay. Thinking about getting away this season to one of our lovely beach house rentals? Lincoln City, Oregon offers a charming atmosphere, abundant shopping options, delicious food and drink, and all the awe-inspiring, natural beauty that the Central Oregon Coast is known for. 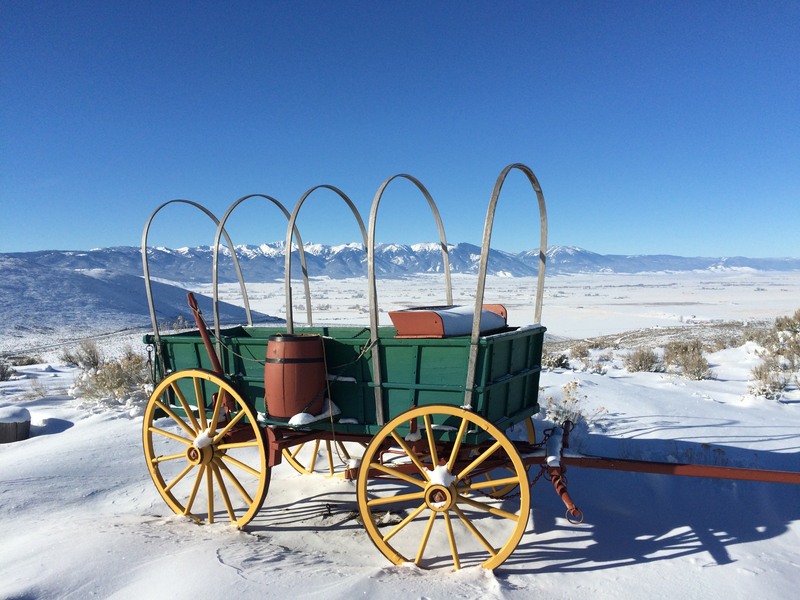 With third nights free on any two-night stay through the end of December, there are also great deals to be had on last-minute holiday getaways. And, in case you’re wondering: yes, there are still availabilities in some of our best beach vacation rentals! Lincoln City is waiting – here are a few of the festive activities you might soon be enjoying if you book your stay today. December 21st marks the official first day of winter and the shortest day of the year, otherwise known as Winter Solstice. Driftwood Public Library in Lincoln City is celebrating the turning season with a free Winter Solstice Celebration from 6:30-8:30pm featuring music, poetry, stories, and yummy treats to nibble on. You might also enjoy staying warm on this wintry night with entertainment and libations at one of the area’s excellent bars and clubs. Left Edge Jazz will perform at Salishan’s Attic Lounge from 6-9pm, the Snug Harbor Bar & Grill will host its Christmas Hat & Ugly Sweater Karaoke party starting at 9pm, and DJ Andrew Eternity will provide tunes for the dancefloor at The Beach Club & Event Center starting at 10pm. Whether you’re spending the holidays with the whole family, enjoying a romantic winter getaway with your special someone, or taking time out with friends, Lincoln City will provide the backdrop for a beautiful weekend with loved ones as Christmas week approaches. Everyone will enjoy Saturday Morning Cinema at the Bijou Theatre on the 23rd of December, when the holiday classic ‘It’s a Wonderful Life’ plays at 11am to benefit Lincoln City’s Warming Shelter. If you’re looking to laugh, then stop by Comedy Night at the Beach Club and Event Center from 8pm to 11pm Saturday for Amanda Arnold and special guest. There are also live music acts playing all over town this Saturday, including Sami Rouissi at Salishan’s Attic Lounge from 6-9pm, Bryan Nichols at MIST Restaurant & Lounge from 7-10pm, Ronnie Jay Duo at Black Squid Beerhouse from 8-10pm, and Brett Lucich at Snug Harbor Bar & Grill at 9pm. Restaurants, bars, and other businesses start winding down on the 24th of December, and Lincoln City is filled with a sense of calm as Christmas approaches. You can still enjoy the beach and strolls through town, though, and will even find that many businesses keep their doors open throughout the holiday. On Christmas Eve, Brett Lucich will put on one more show at Snug Harbor Bar & Grill, starting at 8:30pm. If you’re in town for Christmas but don’t want to cook, you can even visit Fathoms Restaurant & Bar at the Inn at Spanish Head for their Christmas Day Buffet from 12-7pm on December 25th, but make sure to call ahead for reservations. And if you still have energy to go out the day after Christmas, head over to the Ugly Sweater Glow Bowl Party at Olde Line Lanes & Kitchen from 6-8pm on the 26th, and make sure to wear your ugliest Christmas sweater! Whatever you have in mind for your winter getaway, just make sure to act fast if you want to book one of the remaining beach houses or beach condo rentals. Lincoln City is a wonderful place to spend this holiday season – whether you fill your time with activities or take it easy, there is more than one way to create magical memories on the Central Oregon Coast! 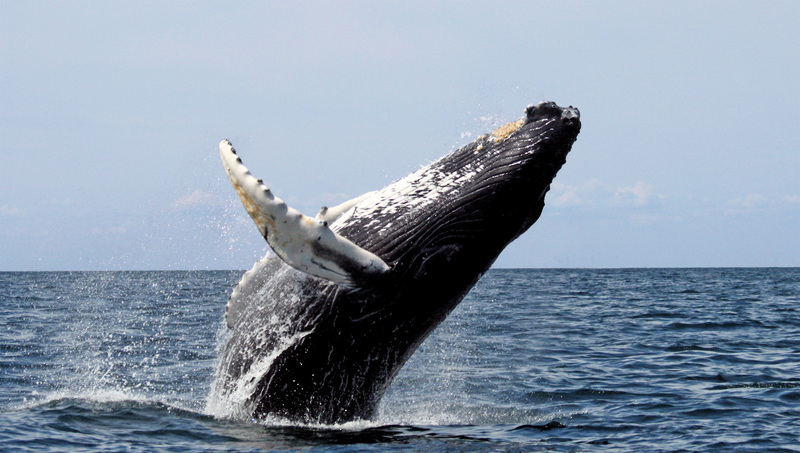 Book Your Beach House Stay for Whale Watching Today! With such perfect conditions this season, nature-lovers ought to book their Lincoln City beach vacation rentals today and catch the exciting whale watching down in Depoe Bay. This quaint bay on the Central Oregon coast is known as “the whale watching capital” and is only a short drive from all of our beach vacation rentals. 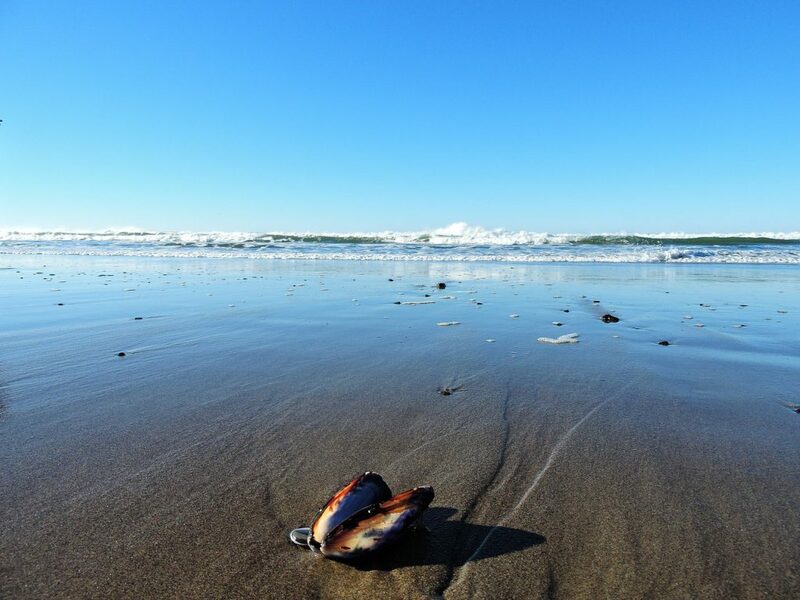 Lincoln City and its 7½ miles of beautiful beaches and countless amenities are perfectly positioned for whale watchers heading out for their morning expeditions. Whale-watching excursions leave from Depoe Bay every day when weather permits for roughly 10 months out of the year, and spring brings clearer and calmer days to see more whales. Keep reading to learn more about the whale-watching possibilities along Oregon’s majestic coastline this spring. The beautiful Pacific Gray Whale is the most commonly spotted on the Central Oregon Coast. The whale-watching season typically runs from December to October, but there are two parts of the season. From December to May, Pacific Gray Wales in the midst of their migration are constantly passing through the Oregon Coast. Most whales spotted in the spring are on the northern end of their migration path, but there are also some heading south. By mid to late May, however, you can also catch the approximately 20 “resident whales” that return every year to Depoe Bay. Pacific Gray Whales tend to stay around Depoe Bay for extended periods when they are in the midst of their northern migration. This is because their migration is so long – all the way from the Bering Sea between Asia and North America down to Mexico’s Baja Peninsula and Sea of Cortez before heading north again. As they head down, many of the cows (female whales) are pregnant. The cows eat very little in order to reach their destination in the warm lagoons of Baja to give birth, as their calves are not born with enough blubber to survive in cold waters. On the way back up north for summer, though, the emaciated female cows will stop and stay for a while to fill up their bellies and regain their blubber in Depoe Bay. Whether you choose one of our large coastal houses or cozy beach condo rentals, Lincoln City, Oregon will put you in a perfect position to see your share of migrating or resident whales. And why not extend your stay after whale-watching day? There are countless attractions that bring visitors to Lincoln City, Depoe Bay and the surrounding areas throughout the year. The coast alone can offer days of activities from long walks and pleasant picnics to kite festivals and chili cook-offs to crabbing and clamming clinics so you can catch your own dinner and cook it up in the gourmet kitchen of your beach rental home. If culinary delights are your thing, you’ll also find a wide range of restaurants, wine bars and even fun cooking classes with acclaimed chefs that include a delicious meal at the end. The Lincoln City Cultural Center and Culinary Center are great places to start. Just don’t wait too long to book your rental home and plan your whale-watching day, then discover all the other activities to round out your stay. Lincoln City and Depoe Bay are home to some of the most beautiful natural spaces and creatures along the Oregon Coast. Whales are just the beginning – and what a beginning they are!